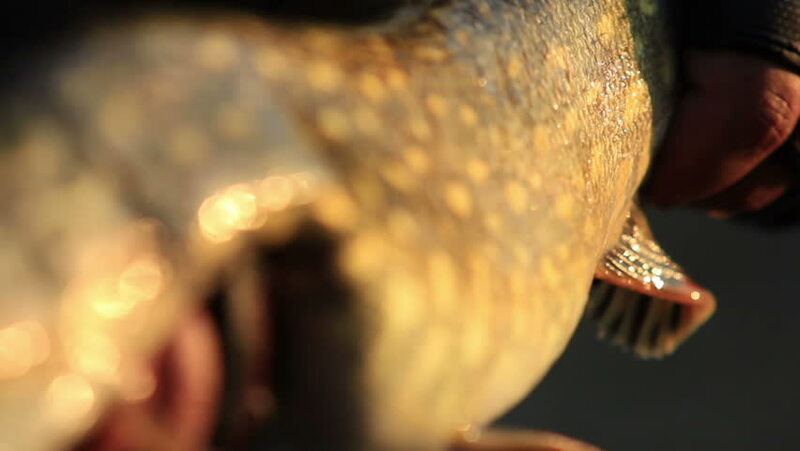 Fish pike in the hands of the athlete fisherman who caught it spinning, fly fishing, a large living roar caught in the wild. hd00:24Christmas decoration. Beautiful Christmas gold and red balls.